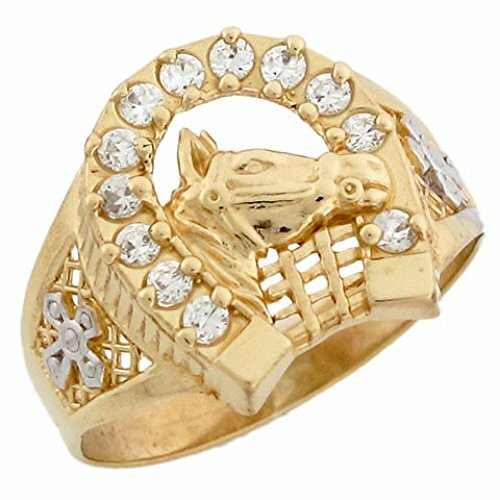 Made with Solid 10k Gold! 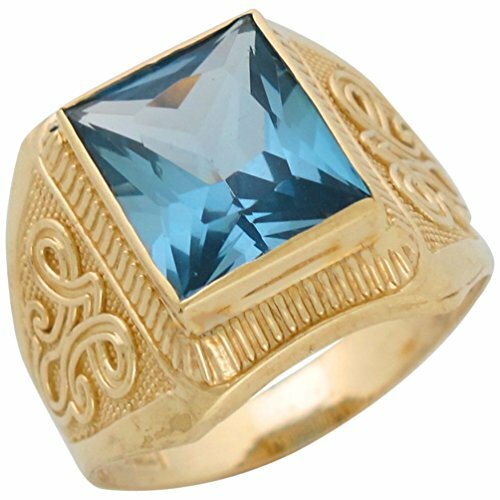 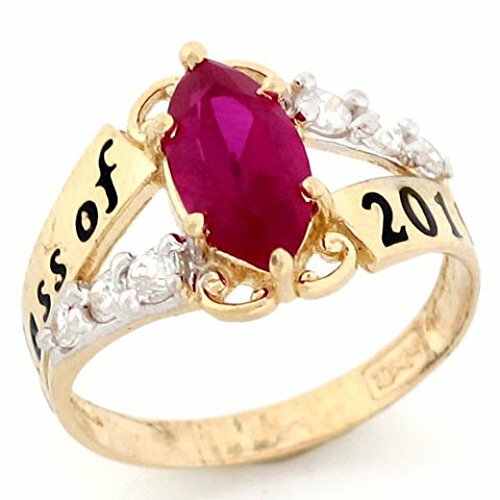 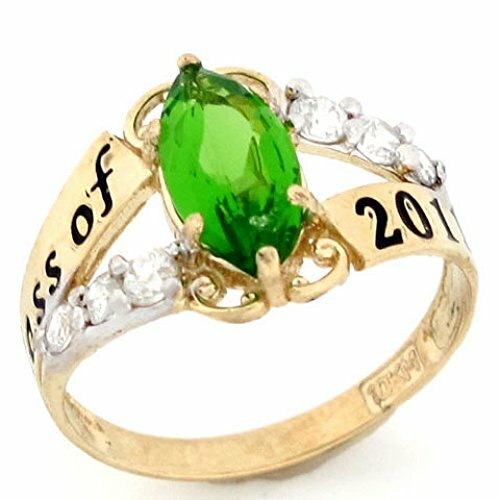 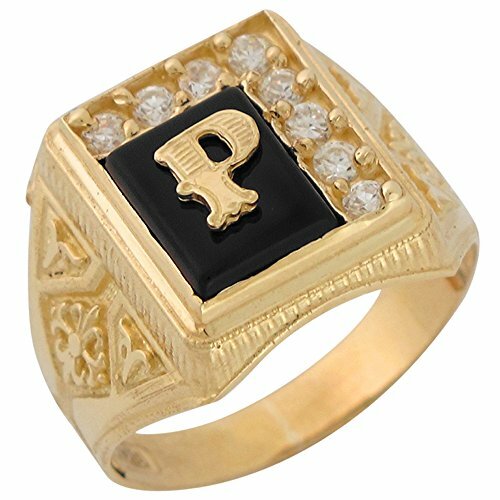 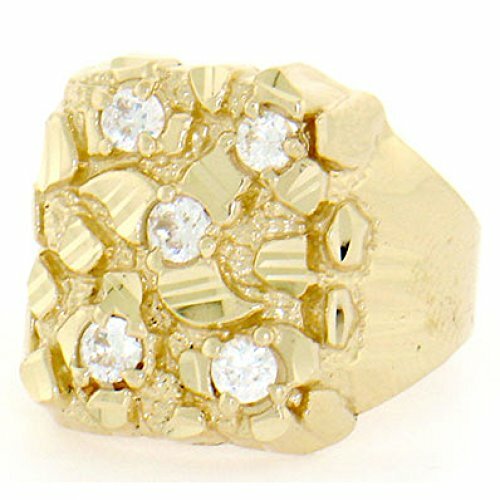 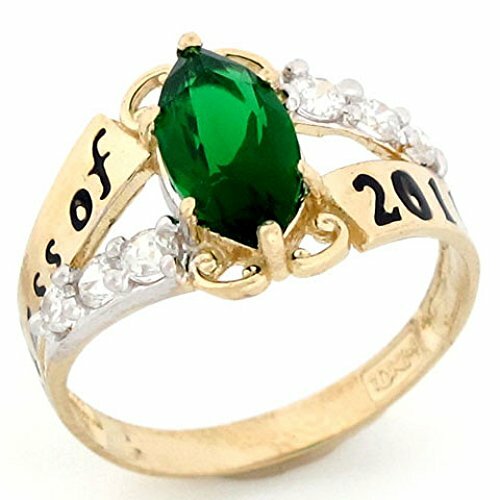 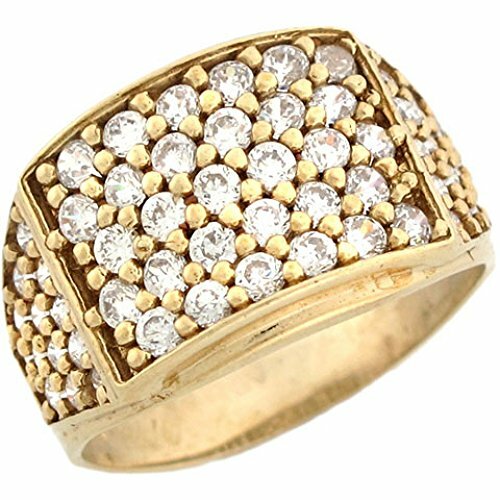 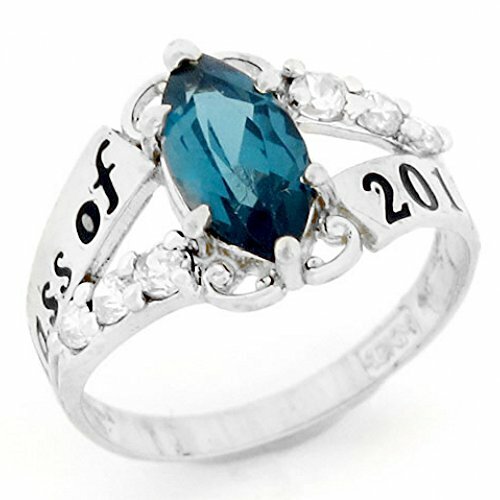 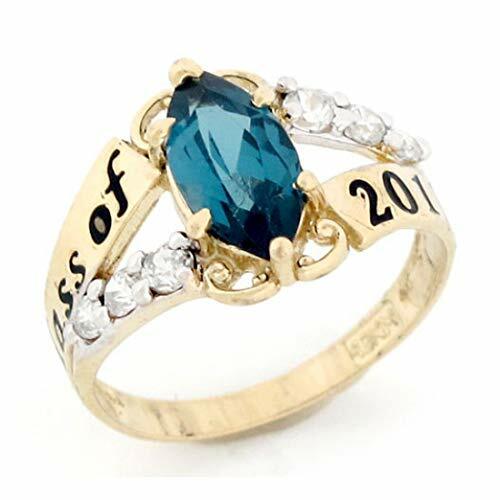 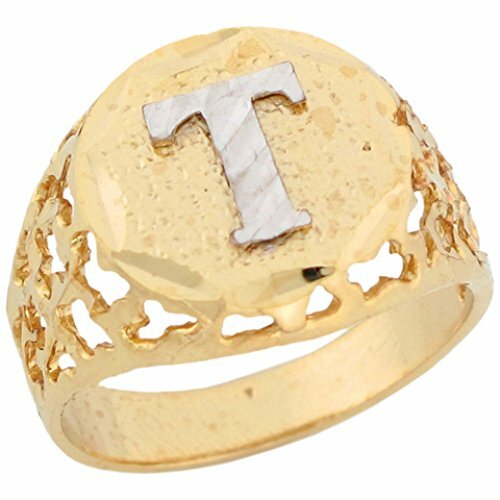 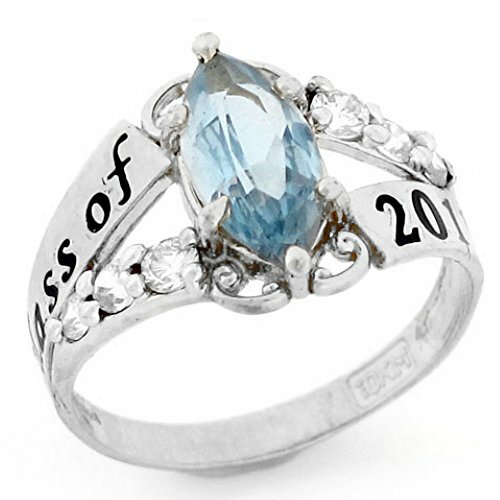 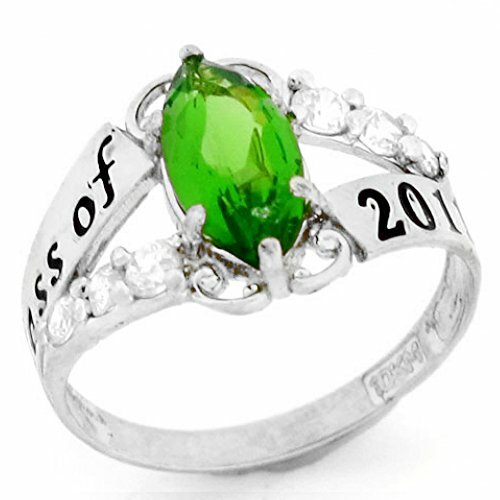 This bold ring is sure to turn heads wherever you go! 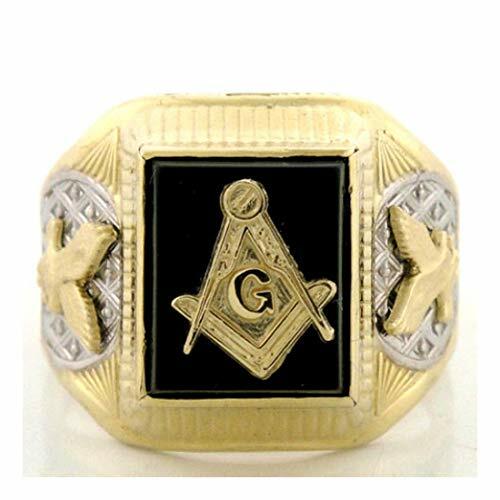 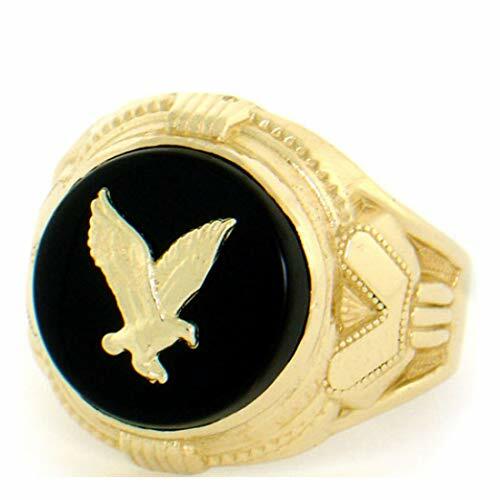 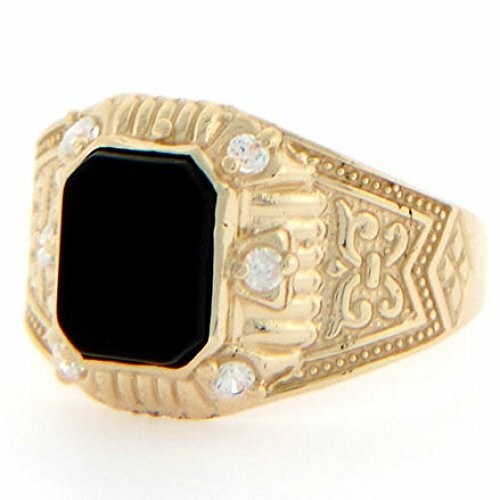 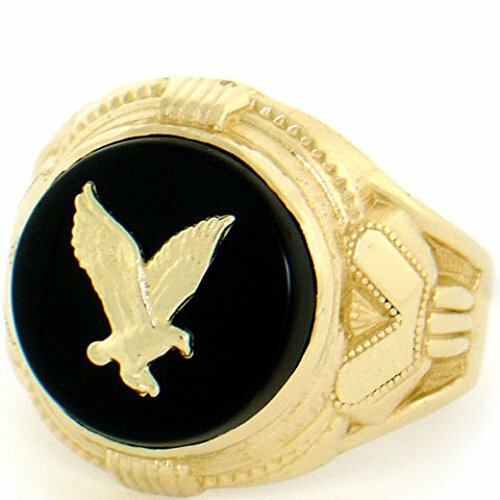 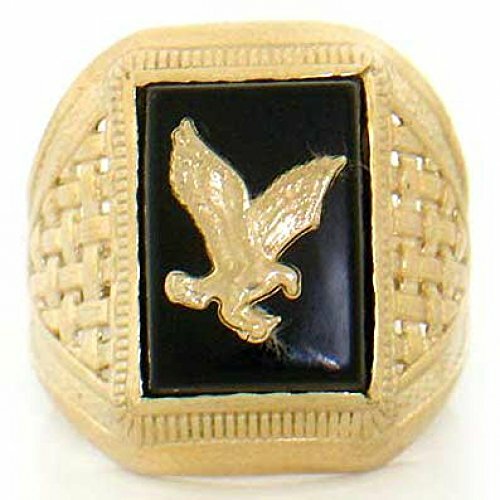 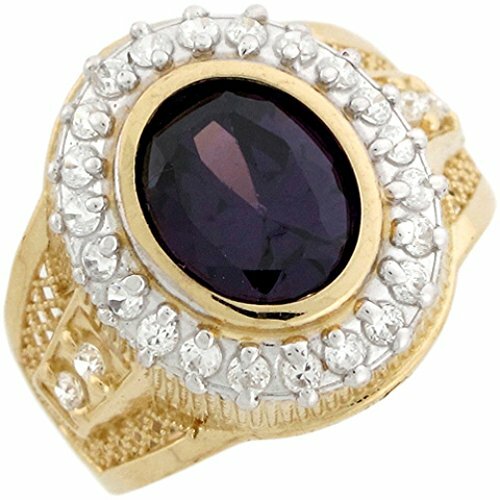 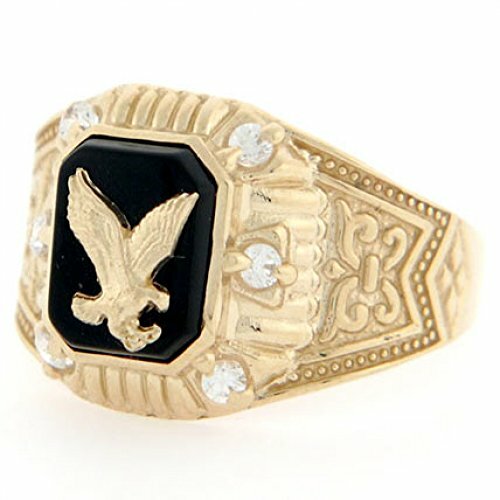 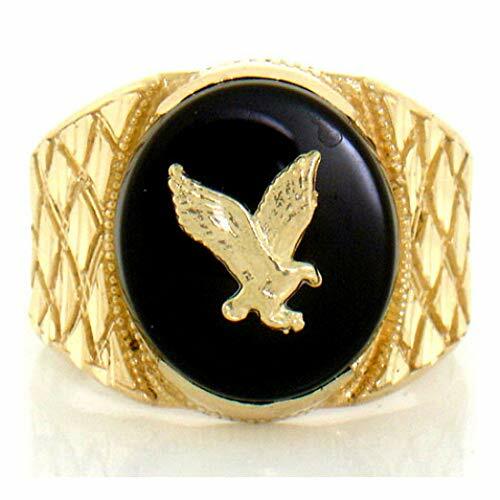 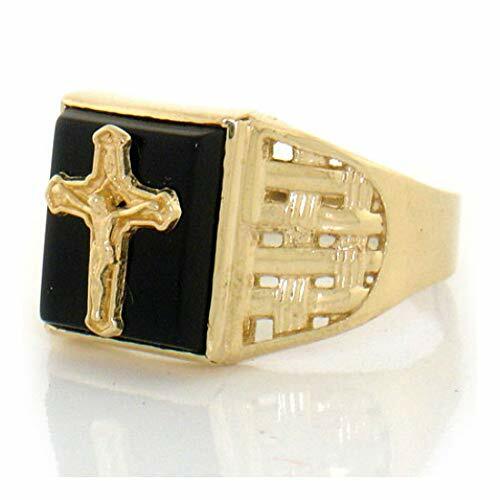 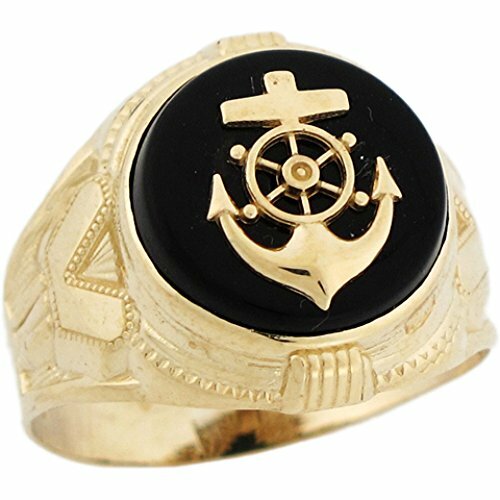 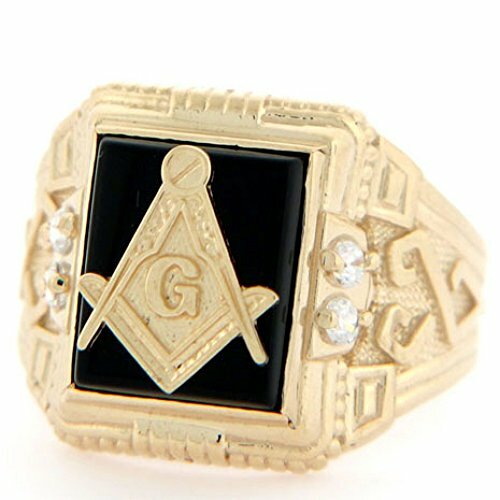 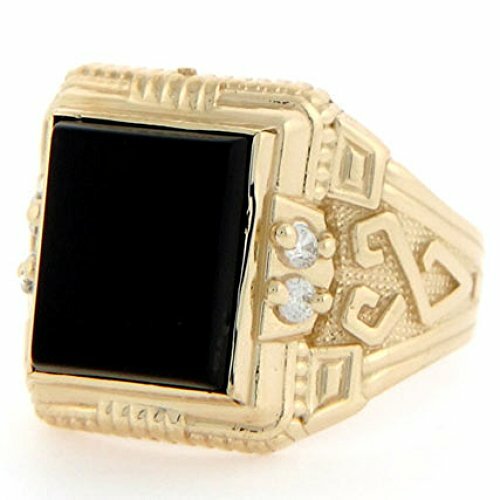 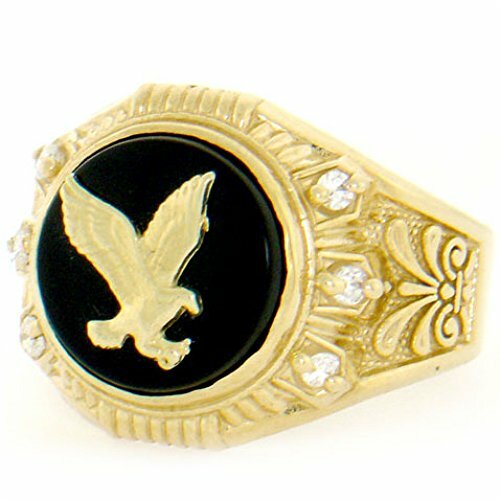 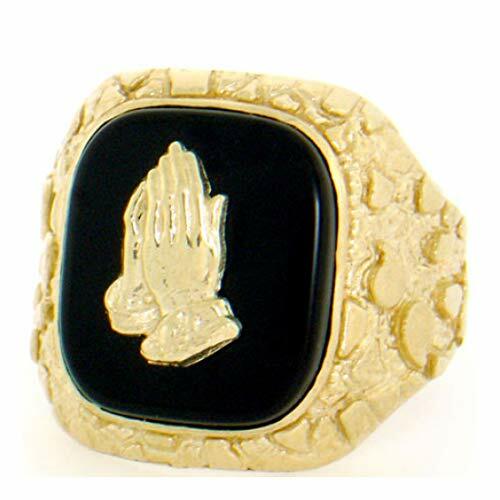 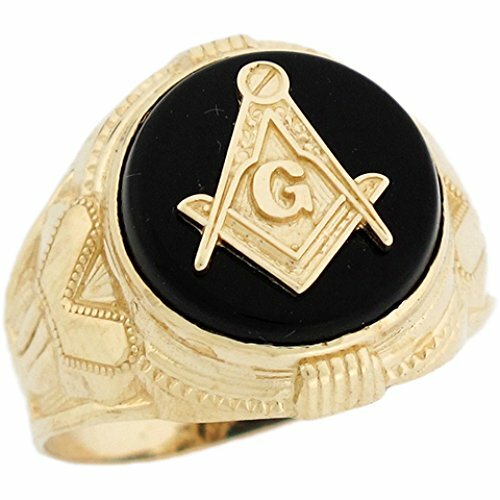 A deep black Onyx rests atop this masculine ring in a bezel type setting which assures a secure hold on the stone while a magnificent nugget design adorns the precious metal. 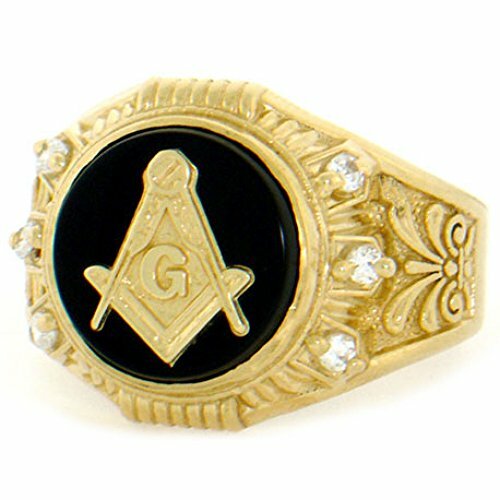 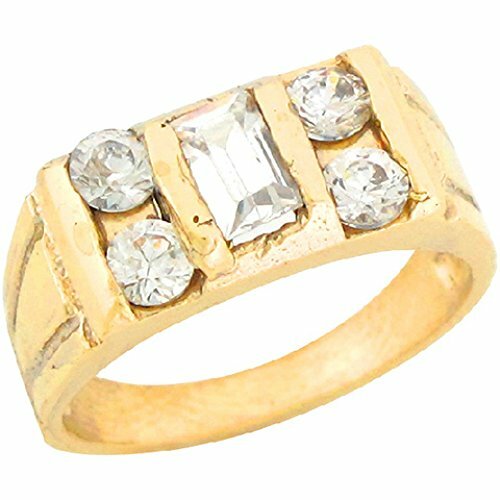 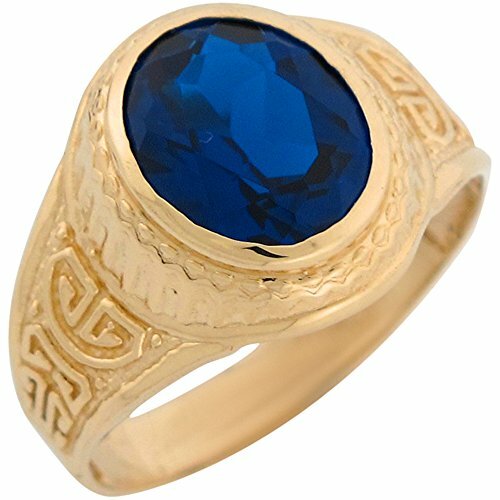 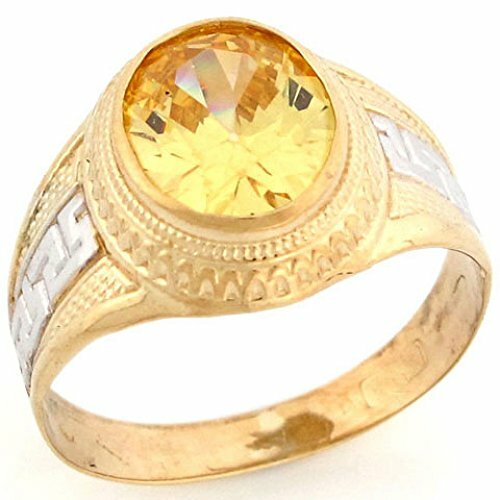 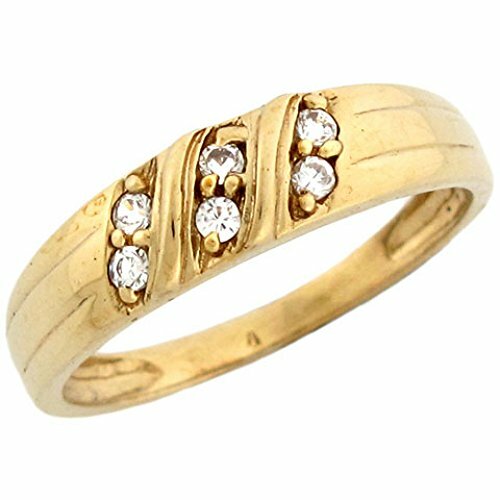 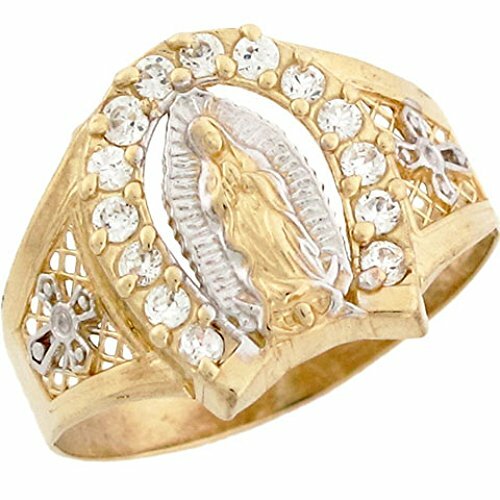 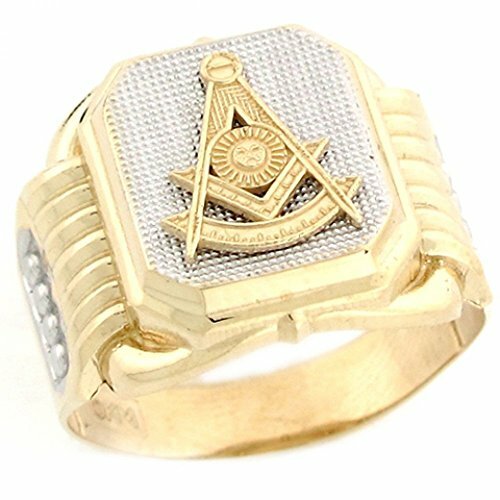 Only fine 10k Yellow Gold is used to bring this magnificent ring to life. 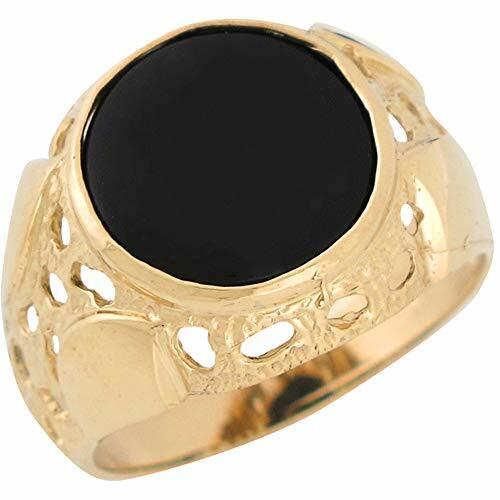 A high polish finish adds the final touch to the Gold and creates a stunning mirror-like surface that is sure to turn heads. 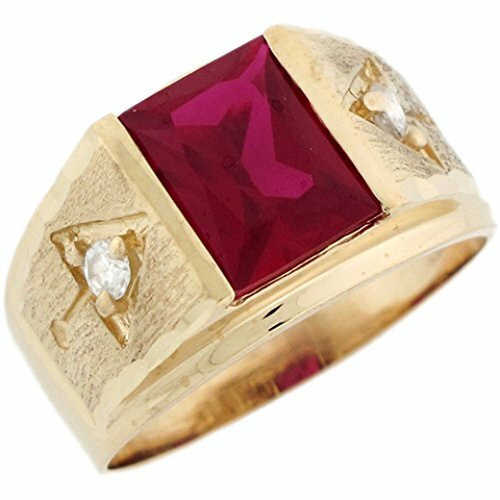 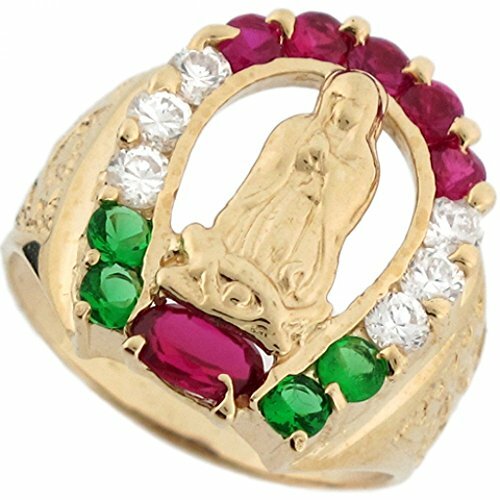 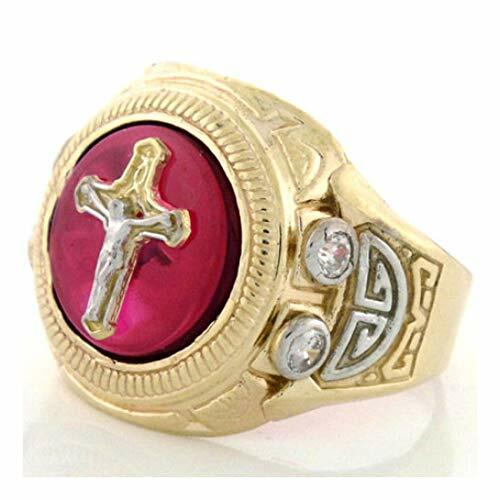 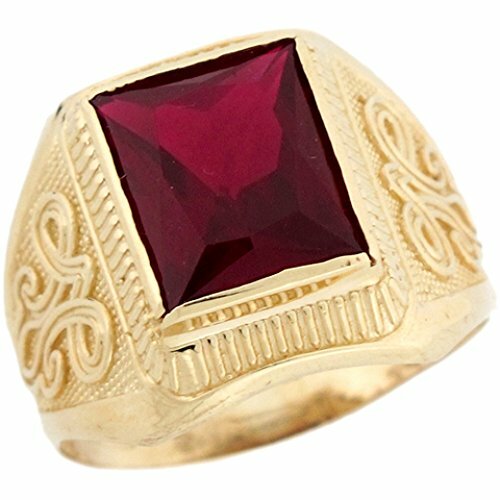 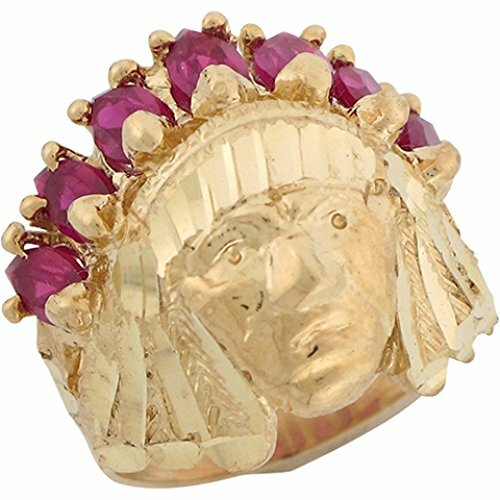 10k Gold 10x8mm Rectangle Simulated Ruby July Birthstone Mens Ring Made in USA! 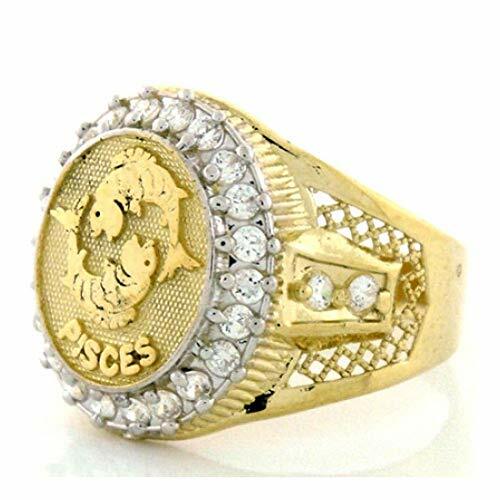 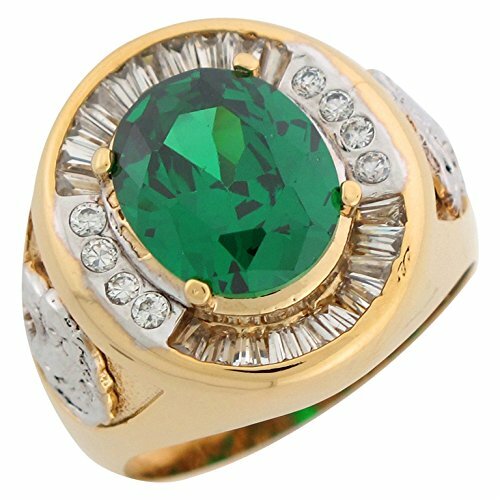 10k Two Tone Gold Simulated Emerald CZ Lion Head Accents Mens Ring Made in USA!